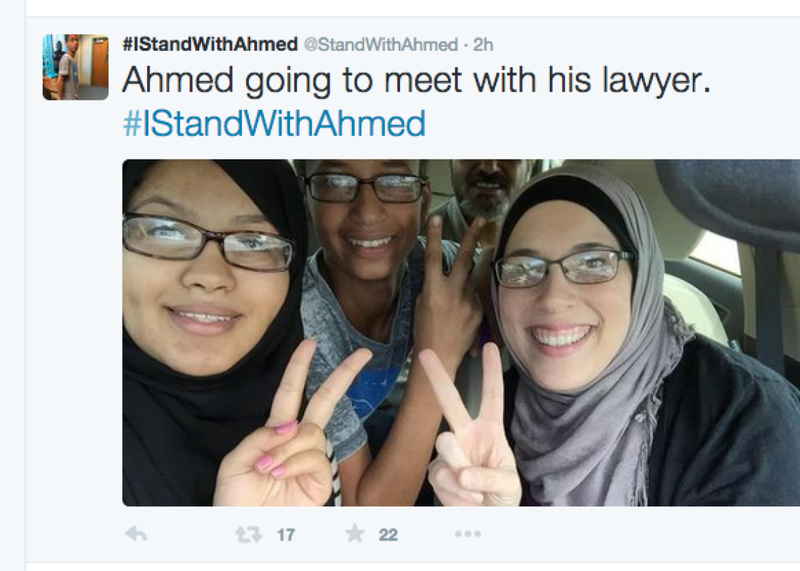 Screenshot of @StandWithAhmed Twitter account. While the Iriving police department dropped its case against Ahmed Mohamed, the public response to the blatant Muslim stereotyping is surging via the hashtag #IStandWithAhmed and #NotABomb. As Buzzfeed notes, people are getting creative to show support. There was also a clip with audio purportedly of Ahmed’s principal, who claims “right now, the media has only one side of the story” and says he has asked Ahmed’s parents for written permission to release the school’s side of the story.